It's always a pleasure to sit down and 'chop it up' with a fellow Player. Players passionately discuss things like plugging Game leaks, making calculated moves, maximizing advantages and the best ways to "move and shake" without getting "shook". People looking in from the outside would probably assume we're thinkers more so than doers. Quite the contrary. EFX is a one man army. 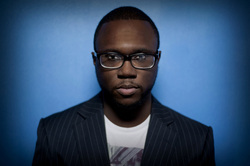 He entered the music scene in 2002 and created club hit after club hit. From there he moved to remixes and contributing to critically acclaimed albums. Nominated for "Best 4 X 4 Producer" at the Sidewinder's People's Choice Awards, EFX's uncanny knack for marrying an artist and a musical track has gotten him plenty of attention. 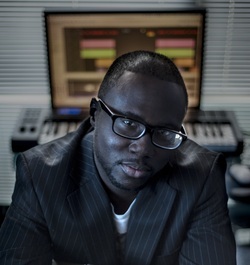 His production skills have been used by Sony Music, Universal Music Group, Warner Music Group and EMI. Need I say more? If you ever wondered how a Player turns nothing into something, then read on. I now introduce you to UK's own, EFX. WJD: Give us a little background on EFX - Where does your passion for music come from? EFX: My passion from music comes from my pop. He was a true music lover in the sense that he enjoyed music with no boundary. His collection contained everything from Bob Marley to Mozart to Dolly Parton. It also included the obvious greats such as Michael Jackson and Whitney Houston. Seeing how music brought family together was the main catalyst for me. WJD: How long did it take you to become proficient? EFX: I started studying the piano at the age of 7. The leading keyboard player in the UK was coaching me at the time where I studied for 3 years continuously. During this time, my pop bought me a keyboard which had an 8 track sequencer built in. This was my first experience with beat making. From there I stayed consistent in practice. I believe in the 10-year rule to achieve proficiency so around that time it all started to come together. WJD: Is your father still a big influence to you musically and professionally? EFX: My pop is my mentor, he shaped my mind to believe in the impossible, to dream big. He has always supported my ambition to pursue whatever field I chose. WJD: What led you to the decision to open and operate your own studio? EFX: The decision to open my own studio came from the fact that I had a 9-5 job in a non-music environment. This was slowly hurting my ambition as I felt I was not maximizing my potential. I had some equipment at home and I had charged for my services before using my bedroom setup so it really made sense to figure out how to create a living from it. In 2008, I took the plunge and made it happen. WJD: Any regrets in taking that plunge? EFX: Not at all, if anything, I wish I had become entrepreneurial sooner. In commerce, nothing can exist without the entrepreneur. The 9-5 job they preach about in schools is essentially a marketing pitch for new employees. A job can be useful if you switch your perspective. It can be a great way for acquiring industry experience without the risk of starting on your own. WJD: Does being a creative person make dealing with the business aspects of the music industry more difficult? EFX: It is quite challenging managing the two sides, as they both require different sections of your brain. When I'm in the zone creating music but need to reply to an urgent email, it can take a while to readjust back into creative mode. This is the challenge for a lot of modern day creators, switching off from the internet/communications noise that has taken over modern society. WJD: As far as your style, who would be your biggest influence? ﻿EFX:﻿ For me, I am a huge fan of production as a craft. I studied mainly producers with my all time favorite’s being Max Martin [Britney, Usher, Katy Perry], Rodney Jerkins [Brandy, Monica, Beyonce], Timbaland and The Neptunes. WJD: What’s the hardest part of the music business in England? 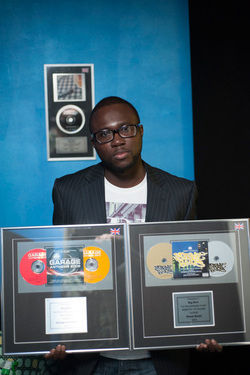 EFX: The music business in England has fewer opportunities for homegrown Black music to shine. The business culture is also more social based rather than product focused so you will find the philosophy of 'Who You Know' carrying more weight here than say in a terrioritory like USA where a winning product will bypass all prejudice. WJD: What are the most challenging obstacles when dealing with artists? EFX: The most challenging obstacles are really dealing with the artist's emotions. My job as a music producer is similar to that of a therapist. My goal is to translate their emotions into a musical backdrop for them to express their true selves. If you're not able to command the respect of the artist, then the artist will never truly open up to you. WJD: That's deep. Name your biggest mistake in the music game. EFX: My biggest mistake was not treating the game like a business, but more like an expanded hobby. This meant that I had Game leaks [weak performance] in areas to do with revenue streams and income maximization. WJD: What’s your process going from idea or concept, to a finished track? EFX: When working with an artist, I will get into their world to find out what is going on in their lives, then study their music choices. After that, I will present music ideas that I think will work for them. From there we figure out the concept, title and story for a song. Once we nail that, then we focus on a killer performance on the mic, then it's post production, which turns the demo into a final masterpiece. WJD: Please explain your overall vision when it comes to yourself and your industry. EFX: My vision is to help elevate the game of music production like my predecessors. To create songs that connect to as many people as possible. This will require me to own as much of the supply chain as possible. This is why I set up my Production Company and record label Unstoppable Music Group. WJD: What separates EFX from other UK producers? EFX: I am unique because I enjoy music with no judgment. This ability allows me to make music in any style possible because I am a fan of the craft of production itself. WJD: If you had to give one secret to aspiring producers and artists, what would it be? EFX: My advice is to study the greats that came before you. WJD: How can people get in contact with you?